There has been a noticeable increase in the use of pain relief when disbudding calves. This trend is backed up by research which shows that using pain relief not only reduces pain and recovery time, but also avoids a growth check. 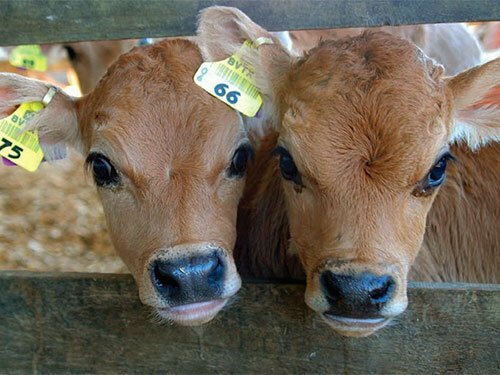 Research by Massey University in 2015 and 2016 found calves that received pain relief prior to disbudding went on to achieve higher growth rates. They gained an average of 0.09kg more per day for the next month, meaning they reached weaning weight about five days earlier than calves that didn’t receive pain relief. Calves that grow faster can be weaned earlier, meaning less milk is fed, less labour is required, and they are moved onto grass and meal more quickly. The reduced costs and the benefits of heavier calves easily offset the small cost for pain relief. Calves experience pain for four to six hours after disbudding and some lower level pain or discomfort for up to 40 hours. Calves are good at hiding pain, but there are indicators of when they’re in pain, such as high cortisol levels in the blood. We can also look at behaviour indicators such as restlessness, feed intake, ear twitching and tail flicking. When local anaesthetic is provided, the signs of pain are reduced until the local wears off at about four hours. When calves are given a long-acting anti-inflammatory as well as local anaesthetic, they show fewer indicators of pain for a lot longer. Farmers can incorporate pain relief with little hassle by using a vet or husbandry service provider, who will provide the restraint (crates or sedation), administer the local in groups, and check for extra teats or vaccinate. Myth: Injections of local anaesthetic are more stressful than disbudding. Truth: The local anaesthetic injection causes the calf very little stress and is much less stressful than being disbudded without pain relief. Myth: Hot iron cautery destroys the nerves so it doesn’t hurt. Truth: Although the nerves are destroyed where the iron touches the tissue, the nerves around the area are still sensitive and the calf experiences pain from inflammation in the surrounding tissue. Myth: They drink straight afterward, so it’s obviously not painful. Truth: Willingness to drink milk does not mean calves are pain-free; suckling is soothing for the calf. Myth: Young calves don’t need pain relief. Truth: There is no evidence that young calves feel less pain than older calves. However, young calves recover more quickly and have fewer complications than older calves. They should be disbudded before they’re eight weeks old.